 近期 Push & Jump gear 2. A new pepere game soon. 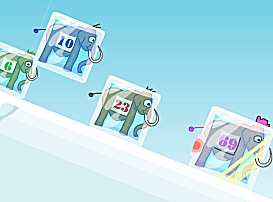 It's little time waster called "Crazy mammoths", a race of frozen mammoths. Here are some screenshots. Unlucky, once again, the hard disk of the pepere.org server has crashed. This time, no data loss (thanks god), all the levels of the Capsules game are safe . 2007年 一月 13日 Looking for beta-testers and level designers! The next game is called "Capsules" and it's fairly advanced now. 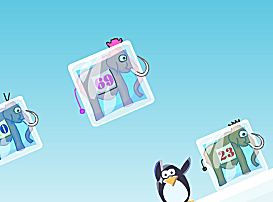 It's a kind of web2.0 game where members create their own levels. The system is brand new and I need testers to check all is working fine. The testers must speak english or french. The goal is also to design some good levels while testing. If you are interested, just post a little comment and I'll contact you when it's ready to test. 2007年 一月 2日 Happy new year 2007! 2006年 七月 18日 How to make a simple Flash game? 2006年 五月 13日 What's new? We are sorry to anounce that there was a server hard disk crash today. The database was restored from the 9th january. There is a lot of data lost and we I'm sorry for thos who entered high scores and performed translations meanwhile. 2005年 十二月 31日 Happy new year 2006! 2005年 十月 9日 Ringmania is out!